Let us learn the definition of disability. We will also explain different meanings of disability as it varies with the way people and societies see disability conditions. When we talk about disability, we more or leas understand what it means. So, we do not really give it a thought as to how exactly disability is defined by various dictionaries, encyclopedia and institutions. 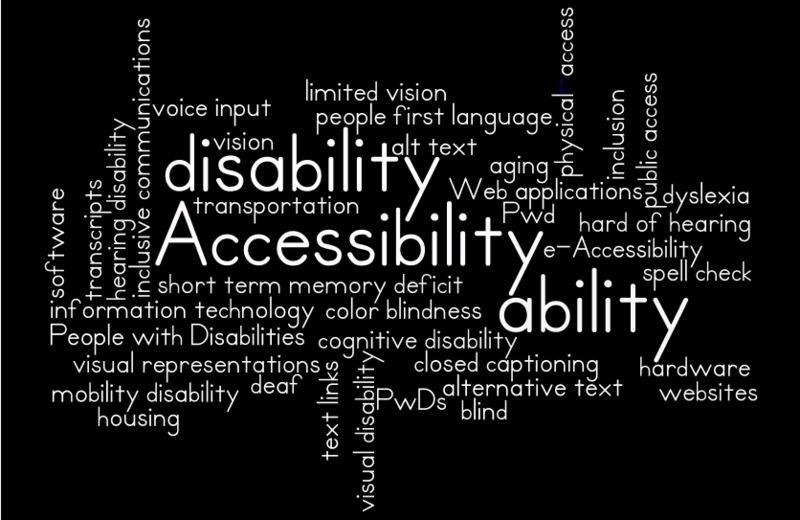 Now why is it important to understand the comprehensive meaning of disability? You may also ask what is a definition? and why definition is important? Why is a definition so important? Well, because definitions enable us to have a common understanding of a word or subject. A proper definition allows us all be on the same page when discussing or reading about an issue. According to Merriam-Webster disability is a physical, mental, cognitive, or developmental condition that impairs, interferes with, or limits a person’s ability to engage in certain tasks or actions or participate in typical daily activities and interactions. As you can see this definition encompasses all aspects of disability and it clearly explains what exactly are the types and effects of disabling conditions. Oxford English Dictionary defines disability as a physical or mental condition that limits a person’s movements, senses, or activities. Dictionary.com gives us a more practical definition of disability as a physical or mental handicap, especially one that prevents a person from living a full, normal life or from holding a gainful job. This definition talks about effects of disability on day-to-day life. It specifically acknowledges the fact that disability may hamper one’s ability to find and hold a job for earning a livelihood. Disability is seen differently in different societies. In more developed nations disability is considered as a part of human life. Such societies tend to make arrangements to facilitate disabled people to engage in all activities of regular life. In these places, people believe that everybody faces some kind of temporary or permanent disability during their lives. So, the society sees disability conditions as something very natural. In less advanced and less educated societies disability is seen as a personal problem of an individual. Disability is often associated with one’s bad karmas or sins of past life. Such societies are usually not inclined to adjust the infrastructure to make it accessible for persons with disabilities. Disabled people do not have special rights in such places. Thus we see that meaning of disability varies among societies. Meaning is a relative term — the same thing may mean different for different people. 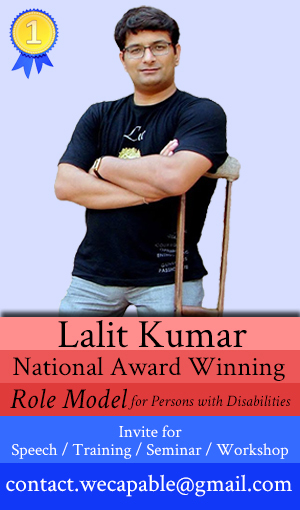 Please share your views on how you or your society sees disability. We would love to know the meaning of disability from your standpoint. Thank you for using WeCapable!